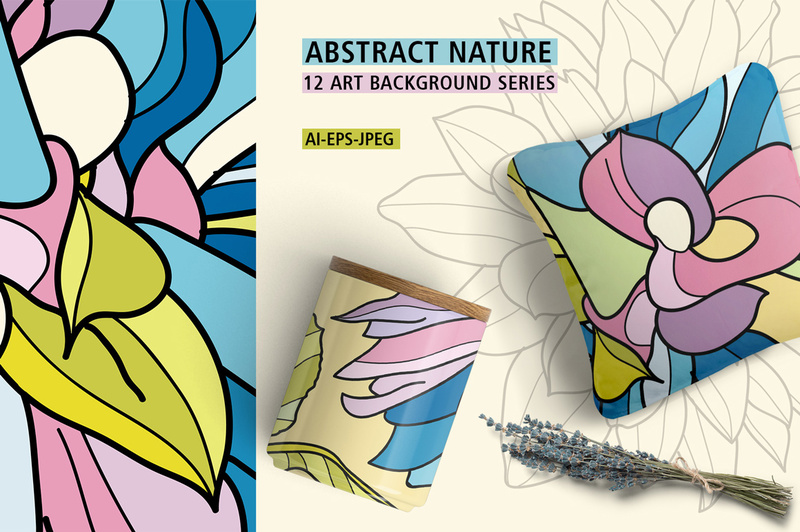 I’m so happy to introduce you my new background collection Abstract Nature! 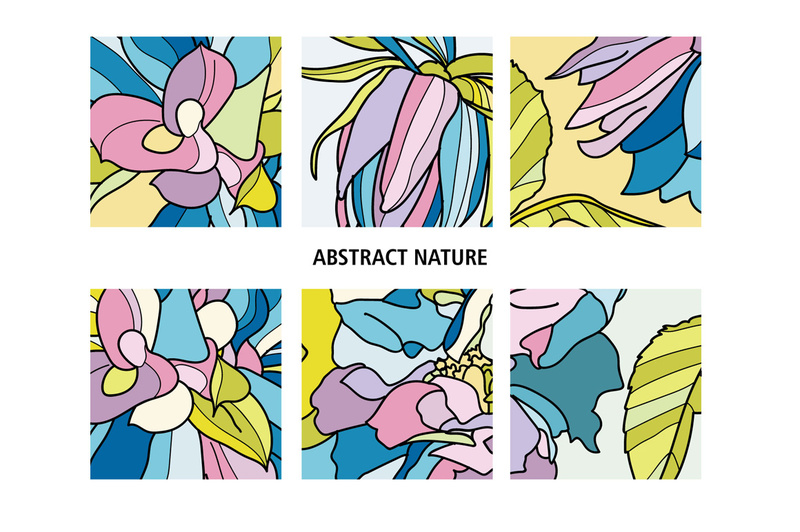 These 12 designs are an explosion of colors, nature forms, lines, freshness and dynamic! 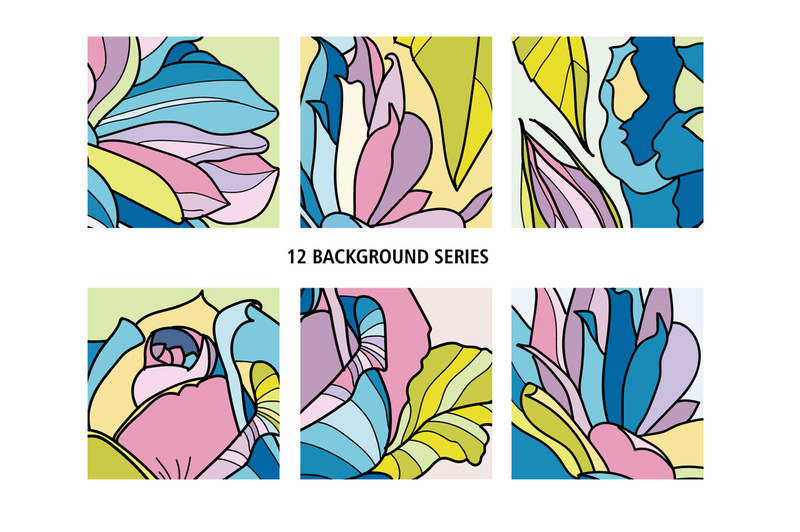 Use your imagination and put these unique backgrounds into your product and be bold in design! 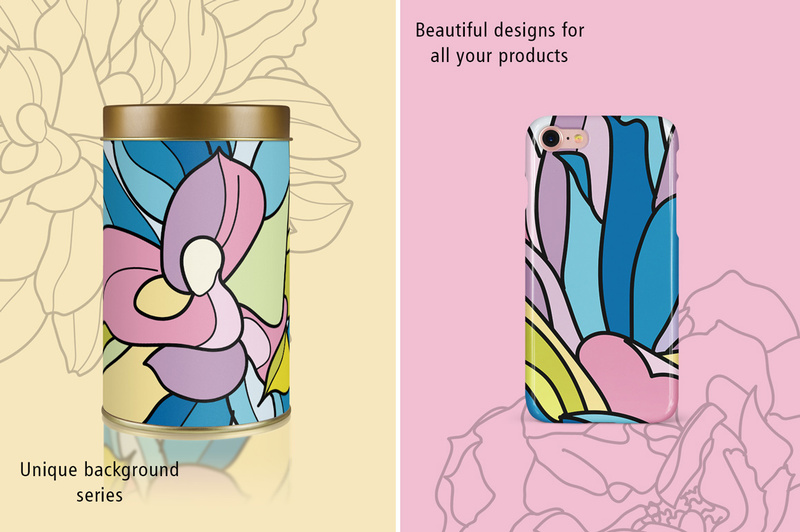 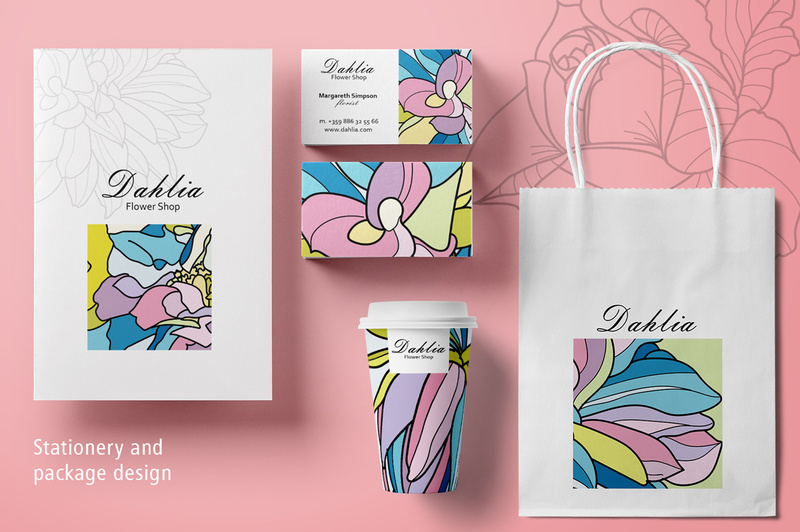 They are suitable for packaging, branding, home design, web design, fashion apparel and so on!